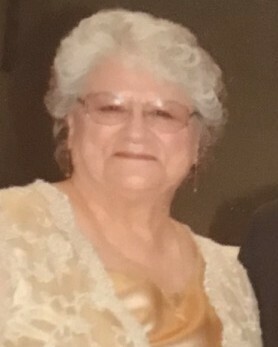 Carmen Ortiz-Padilla, 79, of Santa Ana, CA. died on Monday, August 20, 2018 after a long illness. She was born to the late Frank and Bernadina Ortiz on October 6, 1938 in Pecos, NM. Carmen attended Santa Fe High School and Santa Ana College in CA. She married Larry Padilla, Jr. on August 3, 1957 at St. Anne Catholic Church. Carmen was a school teacher for 30 yrs. She was also a member of ‘Immaculate Heart of Mary Catholic Church. Carmen is survived by her husband Larry, son Michael and daughter-in-law Maria and grandchildren Ashley, Michael and Astrid Padilla. She is also survived by brother Frank Ortiz, Jr. (Carmen) of Albuquerque, sisters Gloria Ortiz-Valdez (Manuel) of Rio Rancho, NM and Bernie Lehman (Sid) of Magnolia, TX., sister-in-laws Ramona Vigil of Los Alamos, Jennie Jiron and Alice Velarde (Alex) of Santa Fe, and brother-in-law Ruben Romero along with many nieces and nephews. Carmen was preceded in death by brothers Gene, Dean, Tony, Don and Phillip Ortiz and sister Rose Ortiz-Almanzar, as well as sister-in-laws Merlie Romero and Rosina Padilla, brother-in-laws Leroy Padilla, Eloy Vigil and Joe Jiron. Also, she was preceded by nephews Steven and David Lehman, Gene Ortiz and Ron Almanzar. Pallbearers are Daniel, Joey and Peter Alejandro, Floyd and Danny Romero and Michael Padilla. A viewing will be held at 5 p.m. Tuesday, August 28 at Berardinelli Funeral Home. A Mass will be held at 9 a.m. Wednesday, August 29 at St. Anne Catholic Church. Burial will be held at 10:30 a.m. at Santa Fe National Cemetery.